A Powerful Face of Your Brand! Corporate identity is the overall image of a corporation or firm or business in the minds of diverse public, such as customers and investors and employees. Corporate Identity expresses your business's brand personality and sets you apart from the competition. Corporate Visual Identity includes graphic design of the visual elements like logo, overall decor, names, slogans, taglines, catchlines, stationary (approved colour pallets, typefaces, page layouts, fonts, visiting cards, brochures, catalogues, letterheads, mailers, envelopes, Invoices etc. ), uniforms, packaging, as well as Event displays, Packaging / positioning, Public Relations, Advertising, branding and promotion Campaigns. ADVENTURES INDIA takes care of all those areas after discussing with clients in length and then appropriate study and research. 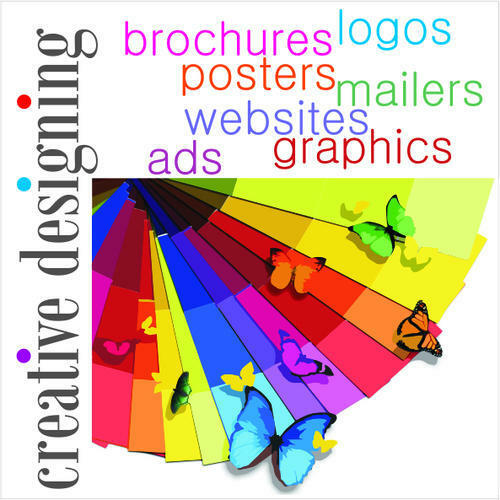 Please call us to get our best offer for your complete entity / corporate identity design! Adventures India is advertising agency in Pune having more than 14 years of experience and expertise in Advertising, Creative Designing & Writing, Branding, Printing etc. We love helping business owners by creating individualized / customised Media Plans, Ads & branding plans that will help them reach their goals. Contact us today to see what we can do for you. Experienced & Creative Experts to boost Your Business! With its Innovative & Brand new ideas, Creative and out-of-the-box thinking and state-of-the-art execution, Smart Media Plans & Advertising Campaigns in all media, Excellent & Prompt Services, Passion to understand the needs of the client and the market, Adventures India has been able to create its niche in the creative world of the Advertising, Designing, Branding in the last decade with the help of its team members like Media Experts, Finest Artists, Commercial Designers, Web Technicians and developers, Visualisers, Copy and Script Writers, Marketing Experts, Client Servicing Executives, Printing Technicians and Experienced Administrators.